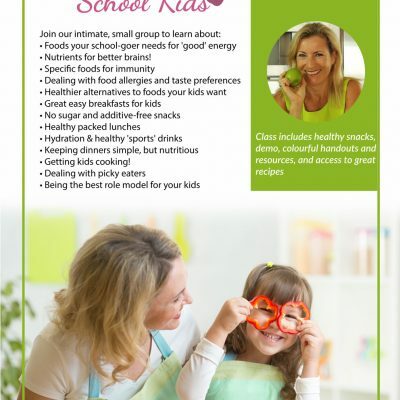 Nutrition and healthy choices to keep you energised and feeling great, for school, sports and play! 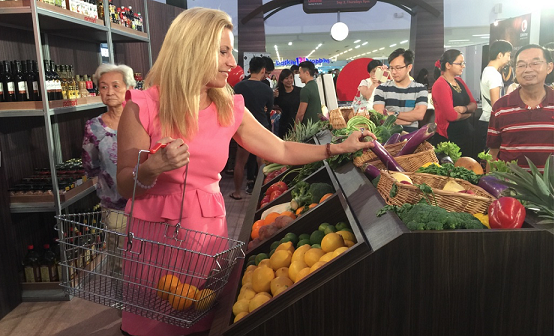 Includes handouts, references, recipes, healthy food & snack lists. Making & tasting healthy food items to bring home. $95pp for 2-hour hands-on workshop by arrangement for private groups. I signed my daughter up for Health & Vitality’s Kids’ Workshop in an effort to educate her on not only making healthier choices but actually just understanding how food and ingredients and labelling all works. Children generally retain information when they are entertained and engaged. For my daughter, the “fun” bar is set pretty high so Liza Rowan, well done! Micah had a great time opened his eyes to sugar and especially things like 100 Plus drinks, Ketchup, sprite etc so he checks sugar content and is aware. of course it won’t change him overnight but it’s there in his mind. He has also realized he can have corn and peppers on a pizza! It seems he is way more willing to try stuff outside the house than inside. He had a great time was beaming to tell his older Brother after too! 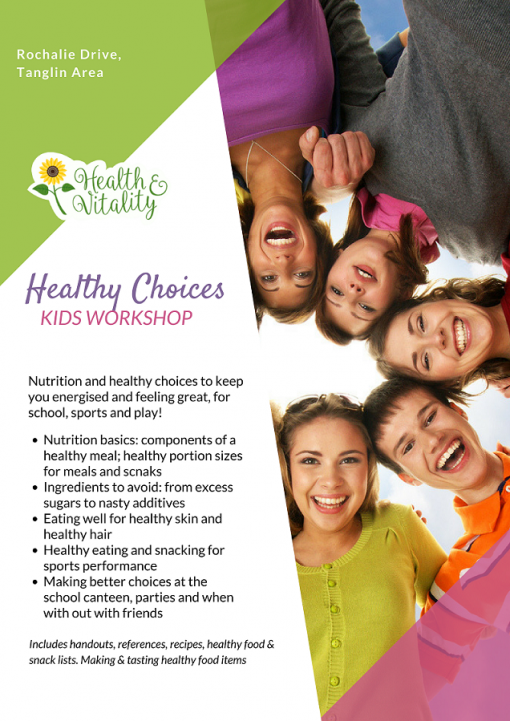 The Healthy Choices for Kids Workshop has changed my 10-year-old daughter’s view not only of food but of her understanding of a strong and healthy body. She really loved the workshop and is still referencing it daily, and as we exchanged it perfectly coincided with her UWC UOS on the human body :).